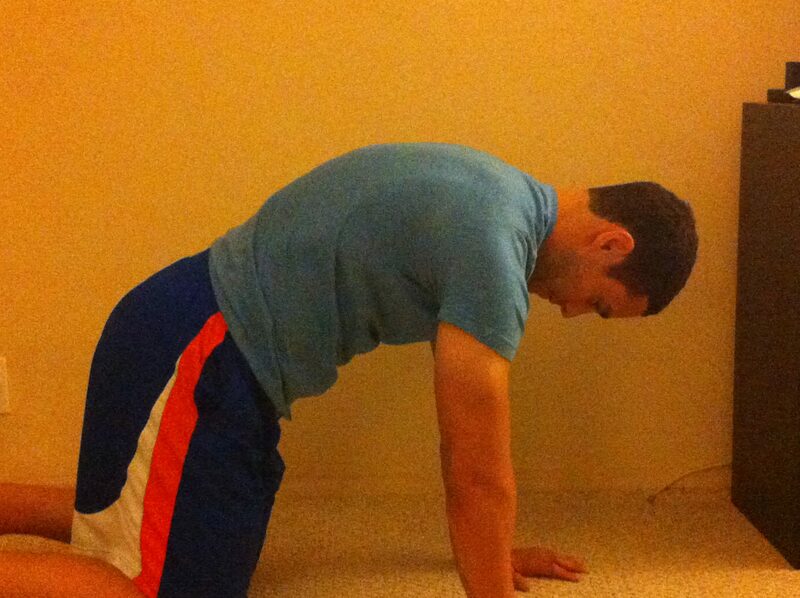 Thoracic spine mobility is important in many aspects of sport performance and strength and conditioning. For most lifting endeavors, we need some degree of thoracic extension (straightening) at approximately the level of the shoulder blades. We also need to be able to reverse that thoracic extension back into flexion, in order to restore the slight kyphotic curve to the thoracic spine and ribcage, which is normal for resting posture. 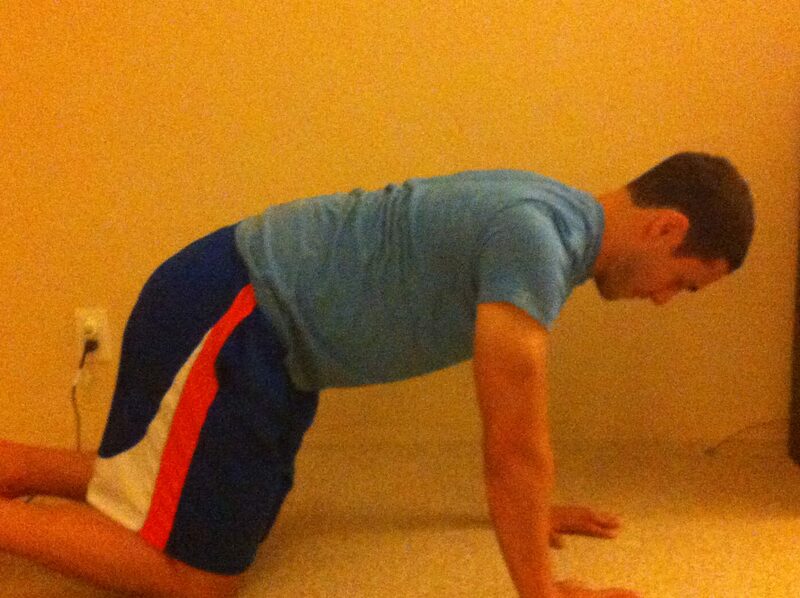 The Cat-Camel drill is commonly prescribed to restore thoracic spine mobility. In this article, I will go over some finer points and tips for its execution. 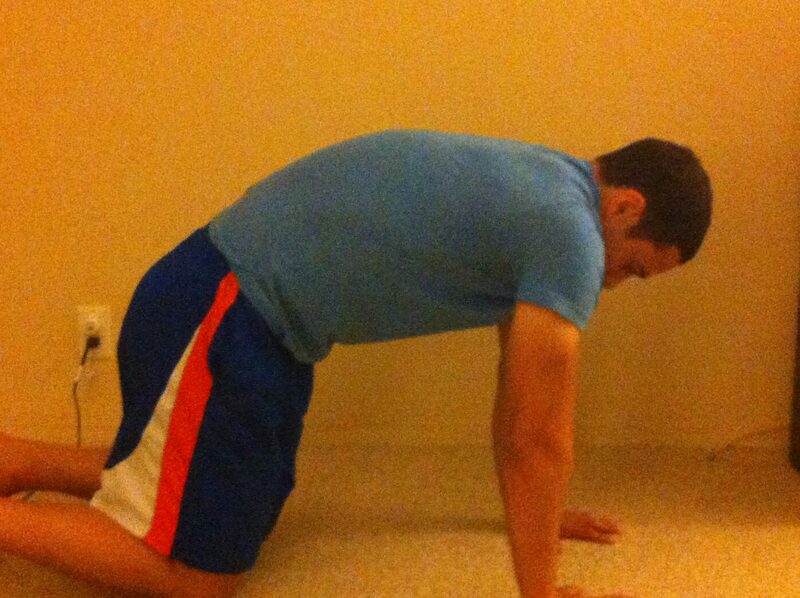 For the cat portion of the drill, I will typically cue a posterior tilt of the pelvis (tuck the tailbone under) and rounding of the lower back, in addition to thoracic rounding. This is simply to decrease global tone in the spinal erectors. Breathe in through your nose, and fill your lower and upper back with air. Try not to shrug towards your ears as you breathe in. As you exhale through your mouth, posteriorly tilt your pelvis and round both your upper and lower back. This is done by lightly pushing straight down with your knees (your hamstrings will activate), and pushing through your shoulder by protracting your shoulder blades. Think about spreading your shoulder blades apart from each other. From here, take a breathe in and fill your upper back with air. Again, do not shrug towards your ears, or alter your position as you inhale. Just let it flow in like water. This is a demonstration of erroneously shrugging the shoulders towards the ears. Sometimes, when cueing a posterior tilt and lumbar flexion, the individual will get most of their motion from mid back and down, instead of the upper thoracic spine between the shoulder blades – which is what we are targeting. Here you see a lot of mid back flexion, but with the area between the shoulder blades staying straighter than we would like. In this case, don’t focus so much on the pelvis and lower back, and realllyyyyy try to flex that area between your shoulder blades. Think about flexing it one vertebrae at a time. Here you see an attempt to increase flexion between the shoulder blades, instead of just the midback. This is fine, as you are still getting some thoracic extension, but mostly what’s happening is hinging at the thoraco-lumbar (T/L) junction, which leads to an excess of lumbar extension. Again, not necessarily bad, it’s just not our particular focus here. Instead, keep your lower back neutral or even slightly flexed, and only arch (extend) through the area between your shoulder blades. You may even get lucky and feel a couple pops, which is always nice. With each camel rep, you can work on extending (arching) one vertebrae lower than the rep before; ultimately leading you to global extension through the entire spine – but hopefully this is a more balanced extension from top to bottom, instead of mostly coming from T/L junction and low back. Here you see an attempt to arch (extend) between the shoulder blades one vertebrae at a time, while keeping the low back and pelvis more neutral than the previous picture. Give this drill a try before exercises like bench press and back squat, where squeezing your upper back tight is a key component. 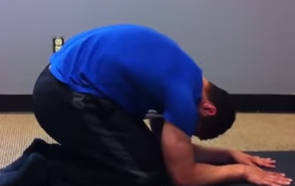 With all exercises like these, remember to avoid straining or “trying too hard”. Relax, breathe, and move smoothly. 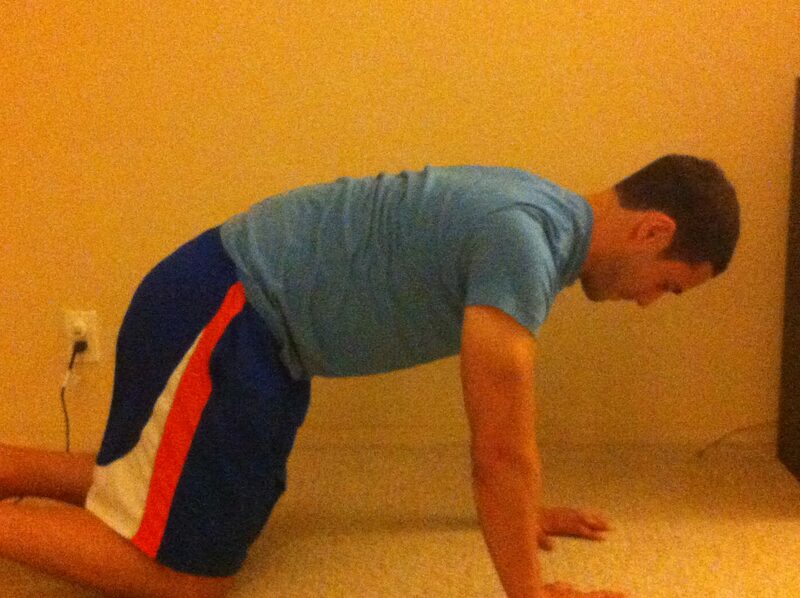 Alternate back and forth between cat and camel for 6-8 reps, come out and repeat for 2-3 sets. Leave thoughts and questions in the comments section.